You guys! We finally moved into our new home this past weekend. It was soo much work but we thankfully had an awesome tram of family members who went above and beyond to get us all moved in. I am currently swimming in boxes, but at least the beds, tvs, and internet (priorities you know) are all set up. No internet is super torturous for someone like myself so I am so glad it is up and running. Non-connected internet + TV+ an MIA coffee maker = one annoyed husband and wife. However, we got that situation under control. You see, we still have stuff at our old house too, but we recently headed to Walmart to pick up a new coffee maker….YAY! I am alll about the coffee. Give it to me hot, iced, cold brew, weak, strong–I am not a picky girl. Access to it at home is all I need to be satisfied. The new coffee maker we purchased from Walmart is such a sleek beauty and look amazing on my granite countertops. 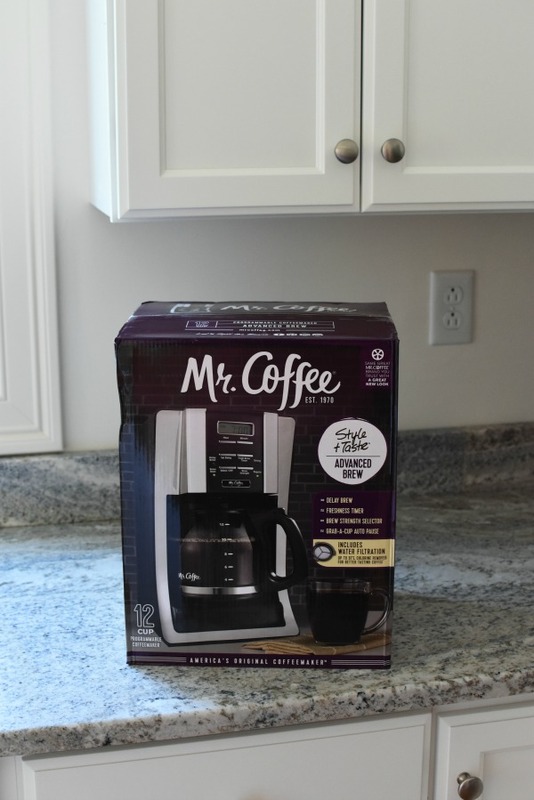 The Mr. Coffee® 12-Cup Programmable Advanced Coffee Brew Coffee Maker not only looks gorgeous, but it is so easy to use. I love simple to use machines so this fits my ease of use! 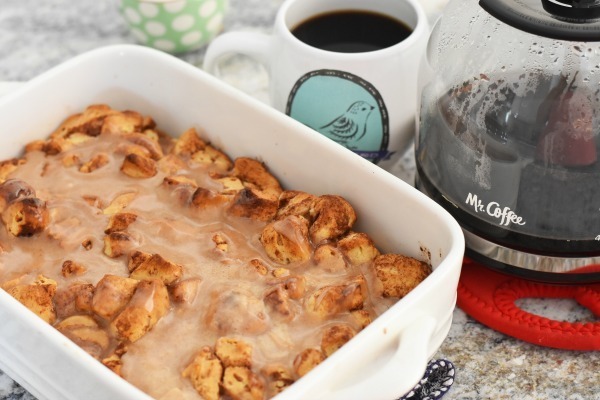 Plus, August is National Coffee Month so what better way to celebrate than with a new coffee maker & this Coffee-Glazed Cinnamon Bun Casserole I recently made for my weekend brunch. 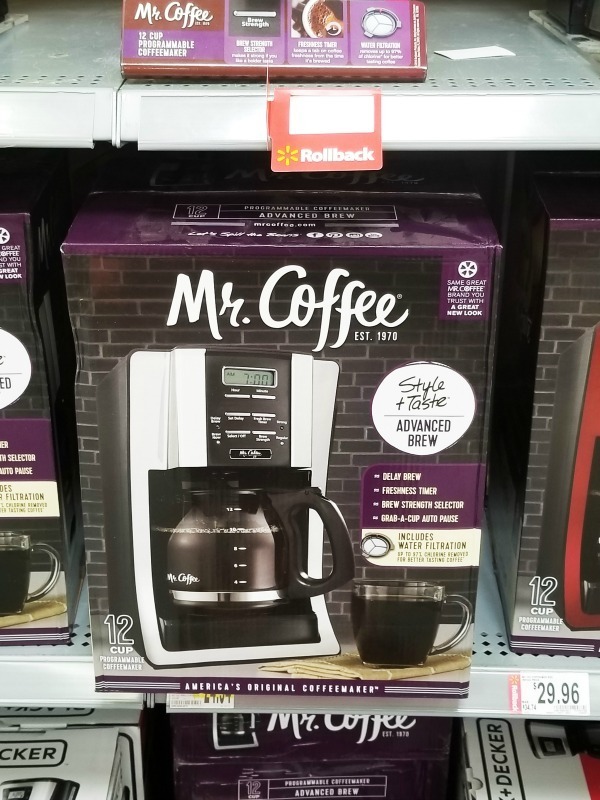 During the month of August Walmart Shoppers can find a $5 coupon that is good on all Mr. Coffee® Coffeemakers and Espresso Units over $29. 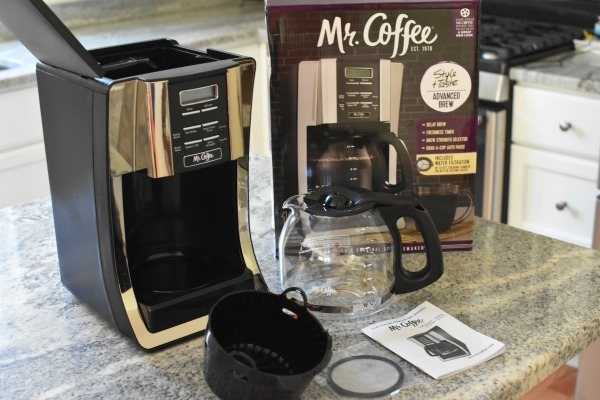 Select Walmart stores will also have Mr. Coffee® Product Demo’s so you can see how these awesome and affordable products work first-hand. Personally, I love that I can brew 12 full cups which is super handy for entertaining, or making homemade cold brew coffee. 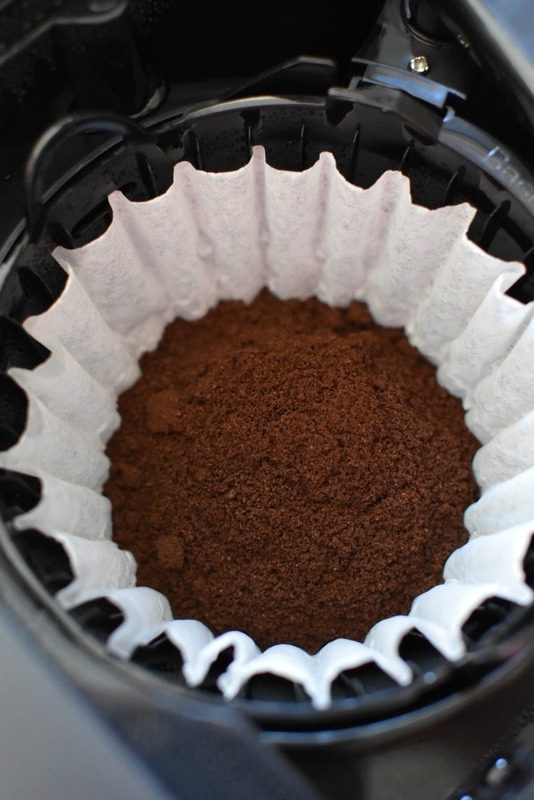 I also can appreciate that this coffee maker does not have a trillion pieces or a need for fancy filters. 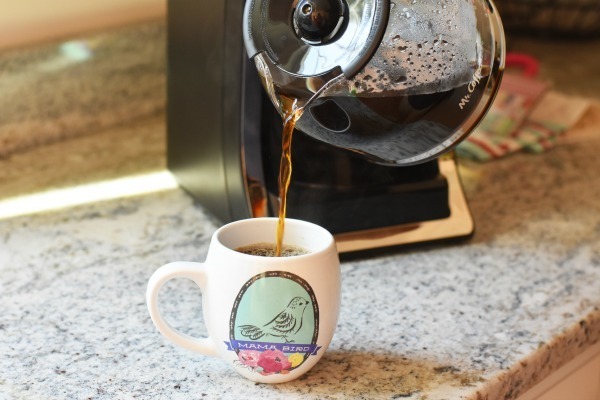 It can be set on timer for our morning coffee needs and brew simultaneously as we shower and get ready for the day. 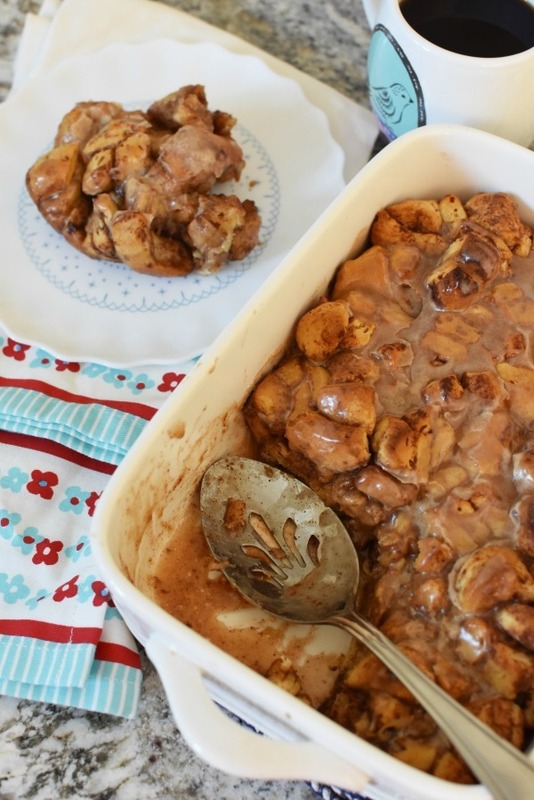 As mentioned, I made some Coffee-Glazed Cinnamon Bun Casserole which my family loves. 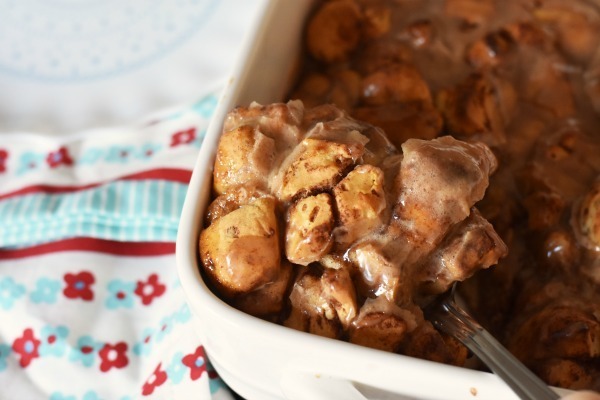 It is a short-cut recipe that anyone who hates to fuss with yeast and dough can appreciate. 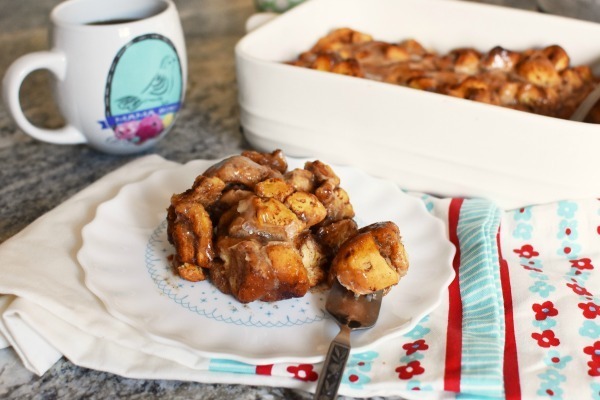 You simply chop up some store-bought refrigerated cinnamon bun, bake them in a casserole dish, and then top them with a homemade cinnamon coffee glaze. Easy peasy! –That is just the way I like it too! 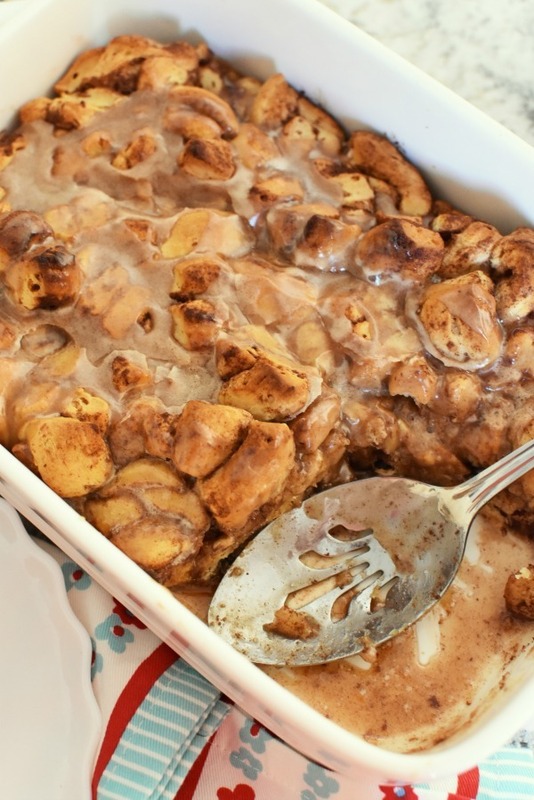 Get the printable Coffee-Glazed Cinnamon Bun Casserole recipe below! What is your favorite recipe to enjoy with coffee? How will you be celebrating National Coffee Month? 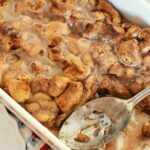 An easy to make sweet, cinnamon bun breakfast casserole that is ready in 15 minutes or less. Perfect for weekend brunch! Pre-heat oven to 400 degrees. Lightly grease a small casserole dish. 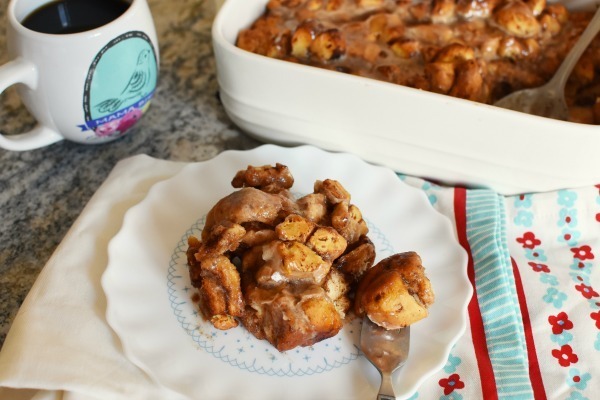 Open cinnamon buns, and then cut them into quartered pieces. Add them to the dish and spread until the bottom of the dish is covered. 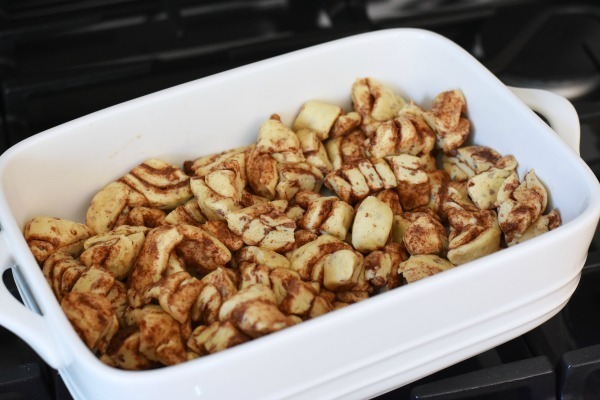 Bake at 400 for 15 minutes or until fully cooked. 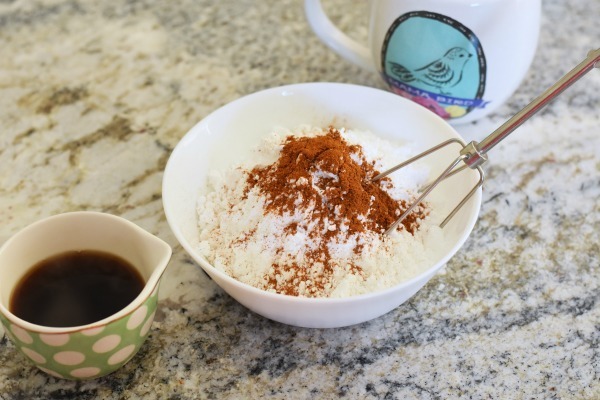 In a bowl, lightly beat the coffee and powdered sugar until thick and creamy. 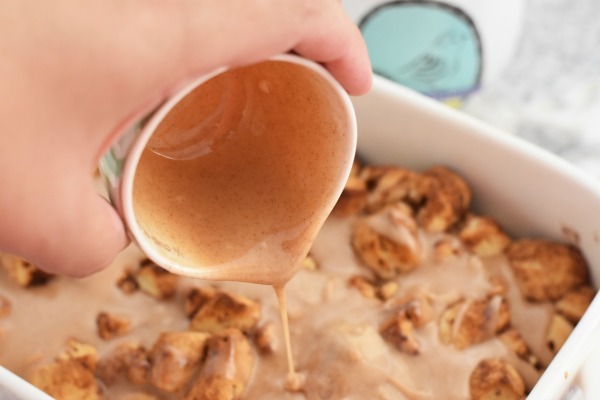 Pour coffee icing over the casserole. 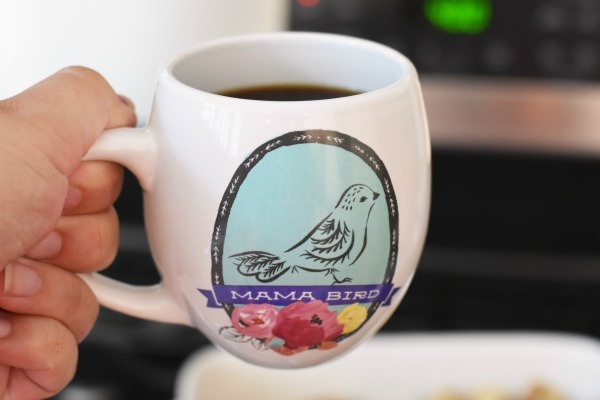 Serve warm & enjoy with a hot cup of coffee.